Watches | The Estate Dept. All watches on our website are purchased directly from the public and passed on to you for a huge savings. Everything listed is sold in the exact condition they were purchased. 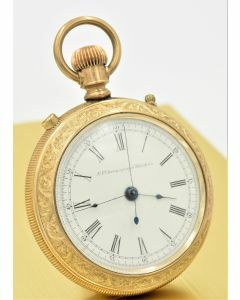 Therefore, please note that most wrist and pocket watches as well as clocks will need an overhaul in order to keep accurate time. We have not polished or repaired any timepieces in our collection in order to keep the prices as affordable as possible. We guarantee that all of the timepieces in our inventory are 100% authentic. All timepieces have been inspected by our senior horologists.